I saw Julia Mancuso do something I hadn't seen an American Olympian do yet this time around. I expected her to react the same way Hannah Kearney and Ashley Wagner did when similar things happened to them. We Americans are trained, for lack of a better word, to react the way Hannah and Ashley reacted. Fortunately, Julia didn't live up to expectations. In case you missed it, Mancuso was given a great chance to win gold in the super-combined (downhill skiing and then slalom, fastest combined time wins). This happened on, well, considering the time difference between Sochi and the States, and the fact that NBC tape-delays nearly everything about 18 hours, it could have been Sunday, and it could have been Monday. I really don't know at this point. Anyway, Mancuso was ahead after the downhill portion, and needed to have a fantastic run in the slalom to win. 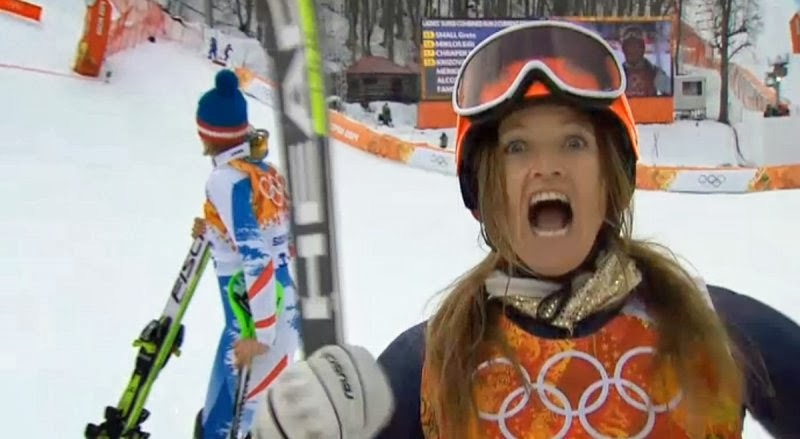 She hadn't officially raced a slalom for a year, according to the announcers, and the reason for this was not explained satisfactorily to me. They threw this statistic in during the middle of her run. What the hell? How is she even in this event? Shouldn't you have noted this a little earlier? Anyway, (again), Mancuso had a good slalom run, despite having not officially raced in one for a year (again, for reasons unclear), and finished third, taking the bronze medal. And here's where Julia Mancuso broke ranks from Hannah Kearney and Ashley Wagner. You may have seen this floating around the world-wide internets in recent days. Wagner skated as part of this new team ice dancing competition at the Olympics that is pretty much only there to get higher television ratings in the United States. I'm not even kidding. From accounts received, Wagner did a pretty good routine and apparently expected to get top marks. Well, she didn't. She was well behind the 15 year old Russian phenom (surprisingly, the Russian gets highest marks in Russia. I'm just throwing that out there). And her expression, as you can see from the photo, went from Oh Yeah to What The Hell Just Happened. Because of the 15 year old Russian phenom, Wagner and the US team finished third, and she got a bronze medal in her first Olympic appearance. Now Hannah Kearney, on the other hand, had won a gold medal in whatever curious aerial skiing X-games mutant sport she's really good at during the Vancouver games in 2010, and was hoping to become the first woman to repeat at the Olympics in whatever curious aerial skiing X-games mutant sport she's really good at. Considering that whatever curious aerial skiing X-games mutant sport she's really good at has only been in the Olympics for 22 years, that's not really a huge thing, comparatively. It's not like Ashton Eaton, who has a legitimate chance to not only become just the third man to win repeat as the gold medal winner in the decathlon at the summer Olympics.... but the first to ever three-peat, because he's basically a decathlon prodigy. The decathlon's been an Olympic sport since 1912, so that would be quite a feat. Becoming the first woman to win two golds in a sport that's making it's seventh appearance in the games? Come on now. So Kearney pretty much announced her retirement from competition in whatever curious aerial skiing X-games mutant sport she's really good at before the games. You know, she figured she'd win gold in whatever curious aerial skiing X-games mutant sport she's really good at, do another year on the whatever curious aerial skiing X-games mutant sport she's really good at circuit, and retire as a two-time Olympic champion, and of course get introduced for the rest of her life as the first woman to double in gold in whatever curious aerial skiing X-games mutant sport she's really good at. But it didn't happen like that. 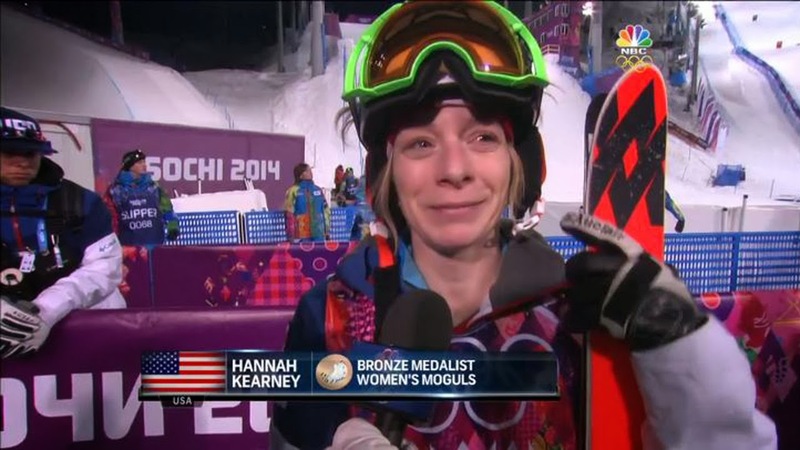 Kearney won bronze in whatever curious aerial skiing X-games mutant sport she's really good at, and cried immediately afterwards. And although she said all the right things during her interviews, you could see that she was seething. That she was really perturbed that she was “cheated” out of making history in whatever curious aerial skiing X-games mutant sport she's really good at. A sliver medal was clearly not good enough for her. Which brings us back to Julia Mancuso finishing third in super-combined. Mancuso won gold in downhill at Torino in 2006, and silver in Vancouver in 2010 in downhill and super-combined, and bronze just this week (with downhill still to come). After seeing Wagner's and Kearney's reaction to bronze, I was figuring that Mancuso would see her time and get really ticked off because she didn't win. Because that's the American way. If you're not first, you're last. Hannah Kearney basically thinks she's a loser because she didn't repeat but still made the podium. 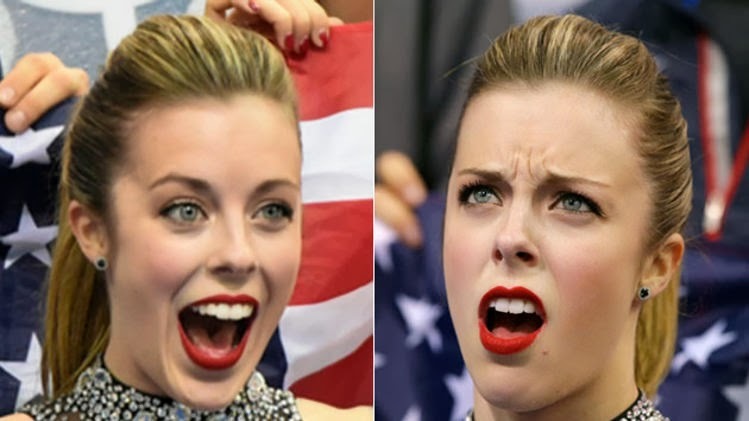 Ashley Wagner, who finished fourth at Olympic qualifying but was picked to the team over the girl who finished third (because why would you base the team on the official results? Olympic sports committees are so on the up and up), figured she'd just skate through her routine and the world would realize how brilliant she was, so to finish third was appalling to her. So Mancuso finishes third, and I'm waiting for her to pout her way through the interviews and the medal ceremony. But she got so excited that you would have thought she had set a new world record. She thought it was the best thing that ever happened. Stunned, and thrilled, and happy... with bronze. She didn't mind not winning, or not finishing second. She was ecstatic about medaling at her third Olympics and being able to stand on the podium at least one more time (she has a couple more events to go). Because unlike Hannah Kearney and Ashley Wagner, Mancuso gets it. Whether it's because she's had some issues in the past couple years and wondered if she'd ever been able to compete at this high a level again, or it's because she trains in Maui and gets some perspective being that far away from skiing and competition, or something else entirely, Mancuso responded exactly how anybody should if they medal at the Olympics. Actually, she responded exactly how anybody should if they complete any run in any sport at the Olympics. Number of people in the world who aren't competing at 2014 Sochi Winter games: approximately 6 billion. Just by making the Olympics, Mancuso, Kearney, Wagner... even the Jamaican bobsledders and the 55 year old Mexican skiier who's also a pop star in Europe and a Germanic prince... are all part of an amazingly exclusive group. To medal, period, means that they belong to an even more exclusive group. It's like going into a nightclub and going to the VIP room, only to find out that there's an even more exclusive VIP room, which you can only enter if you win some contest while in the first VIP room. 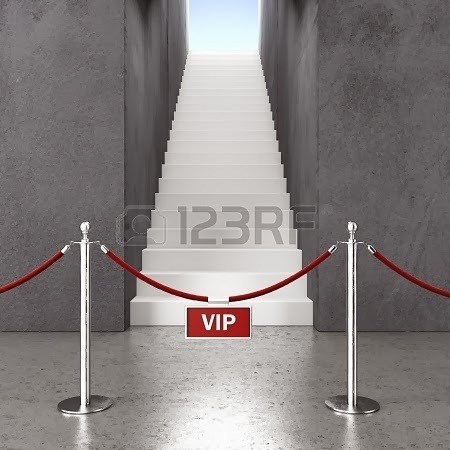 If that second VIP room existed, then Kearney and Wagner would be ticked that they couldn't go into it. Whereas Mancuso would be thrilled that she even got into the club, much less the first VIP room. Mancuso didn't do what an American Olympian is expected to do when she didn't win. And for that, she should be commended. She's already been in the second VIP room, and she's more than satisfied to be in the first one this time around. If only every other Olympic athlete realized this. Go off and sulk in the corner while thinking that “just” medaling in the Olympics is a bad thing, Hannah Kearney and Ashley Wagner. I'd much rather party with the person who understands that she just did something amazing.